DRUG LAB 118 launches new distribution drive. The ubiquitous availability of Illicit drugs in many societies creates significant challenges for schools, colleges and universities in ensuring that they remain drug-free. Students often have their first contact with illicit drugs when they are at high school or university. At the mild end of the spectrum, drug use by students can result in poor academic performance. Severe and prolonged drug use can have devastating effects on students’ health and it can potentially destroy their young lives. Drug use amongst young people differs to drug use by adults. Few young people use heroin, cocaine or crack, and very few are addicted to drugs. The most common illicit drug used by young people is cannabis. However, hallucinogenic drugs such as ecstasy, Ketamine and GHB, and ‘legal highs’ (substances that produce the same, or similar, effects to illegal, hallucinogenic drugs but are not yet controlled under the Misuse of Drugs Act) are also prevalent. Another problem that youth are facing today is the rising concern about drink spiking. The spiking of drinks is carried out in order to incapacitate a person for the purpose of sexual assault, robbery and other crimes. It is a global issue that many young people are being confronted with – especially at parties, festivals, bars and clubs. Drink spiking is a premeditated act, a personal violation and a criminal offence that can have an enormous, lasting impact on a young person’s life. How can Drug Lab 118 help? Drug Lab 118 has developed non-invasive drug detection tests that can be used to detect most illicit drugs on surfaces in almost any environment. Furthermore, the Drink Detective is currently the only reliable testing product available to consumers that can detect all categories of illicit drugs in drinks. In many countries, educational institutions have drug prevention and detection strategies that target the reduction and eradication of illicit (and other harmful) drug use within their schools and educational institutions. Drug Lab 118 products can be used to swab areas for the presence of drugs where students congregate – without physically searching the students themselves. Knowledge that drugs are present can help schools create programmes and processes that increase vigilance and awareness. As the Drug Lab 118 products are non-invasive and give instant results, they can be highly effective in facilitating drug-screening programmes and can be an invaluable support to the efforts of educational institutions to reduce drug use and unsolicited, drug-related sexual assault amongst students. Most psychoactive substances (and hence most illegal drugs) contain amines. The NH2 is the only available instant swab-based test for amines. 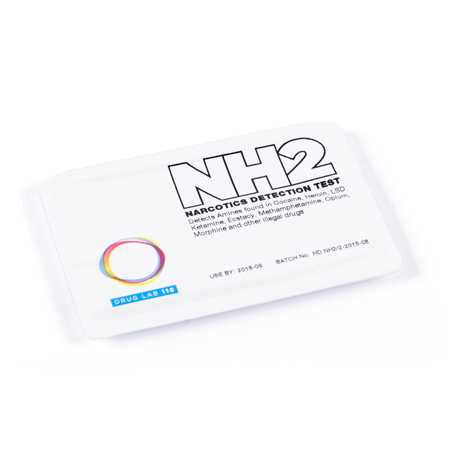 Through its unique science, the NH2 facilitates the instant and effective screening of people and surfaces, and can be a valuable tool in the detection of illicit substances. The test chemistry produces a colour change with cannabinoids. 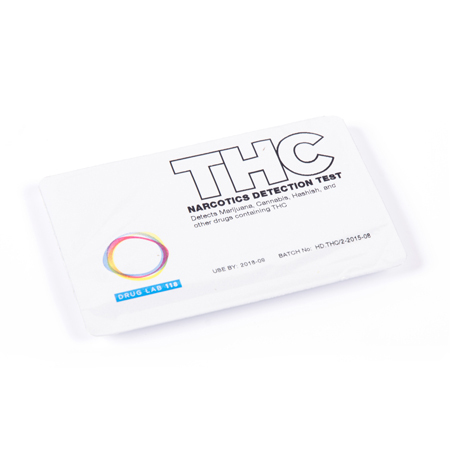 Similar to the NH2 in application, the THC test is the only available instant swab-based test for THC. Test results are instant. The K+ test (Ketamine and amine detection) that is part of the Drink Detective can also detect drugs such as amphetamine (speed), MDMA (ecstasy), cocaine and other illicit drugs that are sometimes added to drinks, because all of these drugs contain amines. The Drink Detective is currently the only reliable testing product available to consumers that can detect all categories of illicit drugs in drinks. 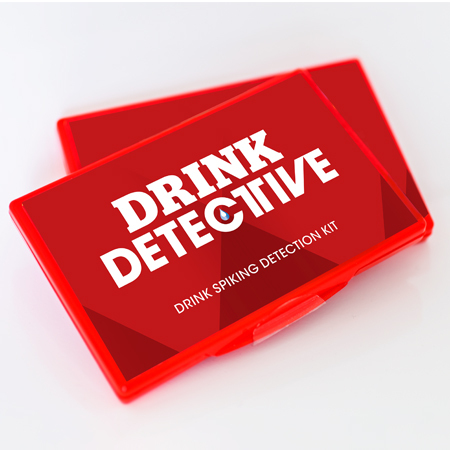 Ideally, the Drink Detective should be available for purchase at educational institutions and through Student Unions. Drug Lab 118 products can act as a powerful detection and deterrent solution in protecting our youth from those who are determined to introduce them to, or abuse them through illicit substances. See the NH2 and THC product tabs for further details.